THINK BREAKING up with someone by text is the most horrible way to end things? Think again. In today’s Star, model Holly Carpenter blasted the practice of ‘ghosting’, saying it was a “cowardly” way of breaking up with someone. But what is ghosting? And why would you do it? Allow us to explain. ‘Ghosting’ is a way of breaking up with someone that has existed for a very long time, but only recently received a name. It’s the act of cutting off all communication with the person you no longer have feelings for, unannounced. The person has no idea what’s happening, and never finds out why. It usually happens in new relationships, but it’s not uncommon in supposedly long-term ones, either. Charlize wasn’t responding to his calls and texts. She just cut it off. The New York Times recently asked people to share their ‘ghost stories’ with them, and there were quite a few. Here’s the most chilling one, from a person married for 12 years. Twelve years! We hadn’t fought; he gave me no clue that he was even considering such a thing. He told me how much he loved me up until the day he suddenly stopped talking to me, moved out, and the pretended not to know me when our paths crossed. If you’re against ghosting, the world is on your side – a lot of people, like Carpenter, think it’s cowardly and disrespectful. On the other hand, the New York Times piece also revealed some pretty solid reasons for it, with one reader saying they ghosted a toxic boyfriend out of “self-protection”. Wait, am I being ghosted right now? You could be. Are all the texts, Facebook messages and tweets coming from your side only? Are they dodging all your attempts to meet up, despite the two of you being on (seemingly) good terms? Have you literally heard nothing from your amour for weeks? You’re being ghosted, my friend. What do you think – is ghosting a totally acceptable way to break up with someone? Or is it just plain rude? No. It's childish and mean. I'd probably do it, to be fair. I've done it and it's the best thing that ever happened to me! 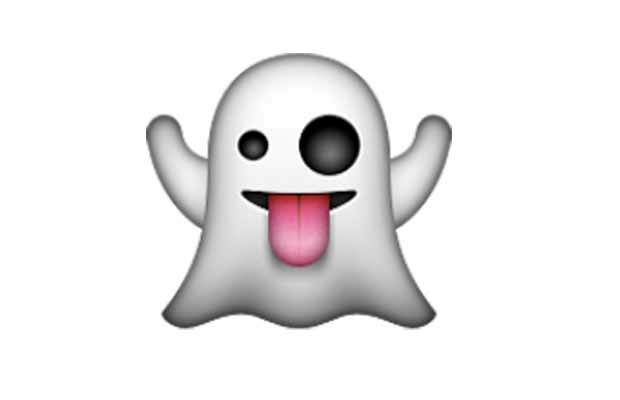 Email “Ghosting is the coldest way to dump someone - but what is it?”. Feedback on “Ghosting is the coldest way to dump someone - but what is it?”.